For Pacman huge fans, formal dress can’t stop them to express their geek situation. 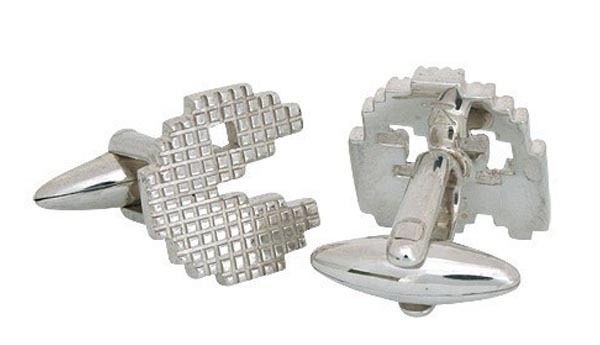 The Pacman sterling silver cufflinks are absolutely one of the best choices. This pair of handmade sterling silver cufflinks is made by dedalo, a jewelry designer and Etsy seller. Just as we see, the two cufflinks are shaped as the popular Pacman and its enemy ghost respectively. Maybe you can run a pursuing war between the Pacman and the ghost on your wrists just like the classical arcade game Pacman. 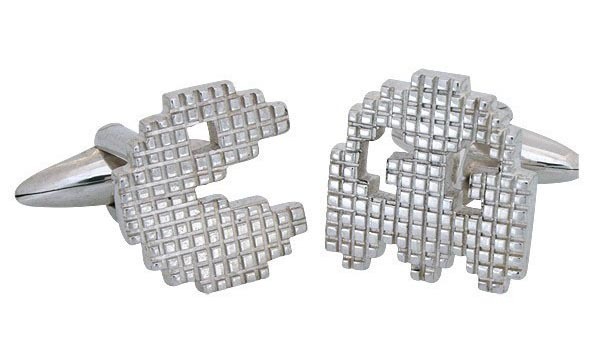 The sterling silver Pacman cufflinks are priced at $65 USD. If you’re interested, jump to Etsy for more details. We also have many Pacman gadgets, you might like to check the Pacman business card holder and the Pacman bracelet.